Vitamins and minerals are an essential part of women’s health. When trying to conceive a pregnancy, women should be vigilant about what they are putting in their bodies. Although many of the vitamins women need are found in a healthy diet, early pregnancy demands a higher content of many of these nutrients. Taking a prenatal vitamin before becoming pregnant is a good way to ensure a healthy baby and a healthy pregnancy. The major organ systems of the embryo’s body have already been developed by week 10 of pregnancy. Most women are not aware they are pregnant until around week six. Folic acid, calcium, potassium, iron and thiamine are all important for a healthy mother and child. By taking a prenatal vitamin when trying to conceive, the vitamins and minerals essential to a healthy baby are already in place. Prenatal vitamins contain folic acid. Folic acid is known to prevent birth defects like spina bifida. Spina bifida is a neural tube defect in which the area around the spinal cord does not close completely and the spinal cord protrudes. According to the March of Dimes, 3,000 pregnancies each year result in neural tube defects. 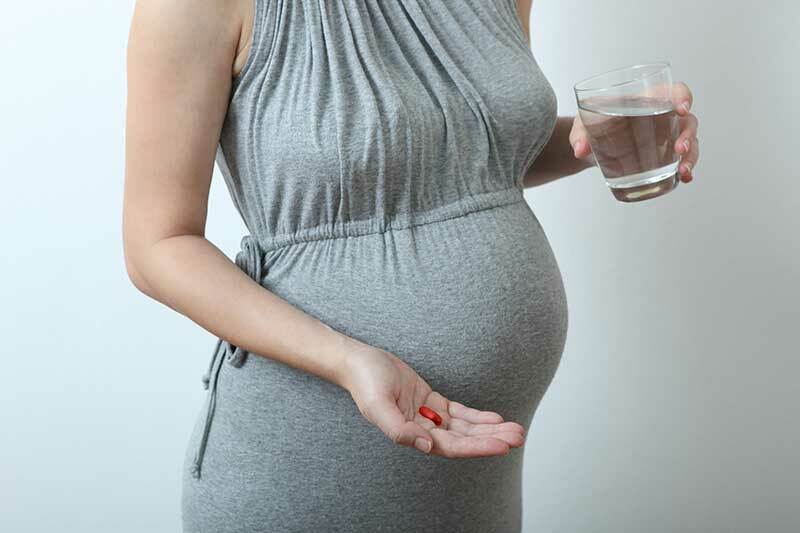 Taking folic acid before and during pregnancy significantly reduces this risk. Calcium is important for the growth of bones and muscles for the fetus. Prenatal vitamins are a good source of calcium, which is essential for proper weight gain during development. Lack of calcium during pregnancy can contribute to a lower birth weight. Taking a prenatal vitamin not only helps with fetal development but also contributes to a healthier overall pregnancy. Potassium helps the mother’s body regulate its blood pressure, muscle contractions and nerve impulses during pregnancy. Anemia during pregnancy is a common occurrence in mothers. The mother needs to produce an enormous volume of extra blood during pregnancy to support the growth of the fetus. Iron is needed to achieve this red blood cell growth. A lack of iron can cause anemia that can be serious during pregnancy. Taking a prenatal vitamin before becoming pregnant helps ward off this issue. Women who are trying to conceive need extra energy to support and maintain a newly formed embryo. Thiamine helps the body create more energy by breaking down carbohydrate stores, it also contributes to fetal brain. While the proper nutrients found in a prenatal vitamin has a significant role in the baby’s development and overall health, they can also play a large role in the mothers morning sickness. Because of prenatal vitamins’ amount of vitamin B6, the consumption of this can help ease nausea during pregnancy as a symptom of morning sickness. A healthy diet and exercise are essential for women’s health. Career demands and busy social lives can make it difficult for women to get all the vitamins and minerals they need through diet alone. Lack of good nutrition can affect women’s fertility. The menstrual cycle can be disrupted, leading to irregular periods and lack of ovulation. A prenatal vitamin contains the nutrients needed to maintain and boost fertility. For women who undergo fertility treatments, taking a prenatal vitamin may also help them to get pregnant. 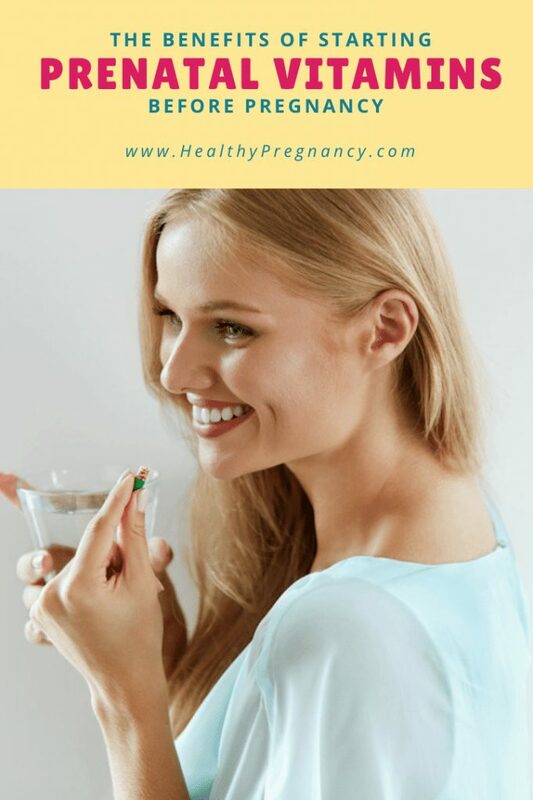 A 2011 study published in Reproductive BioMedicine Online concluded that taking a prenatal vitamin while undergoing treatment helped women to conceive and maintain pregnancy. While regular multivitamins are fine to take when women are not pregnant, high doses of vitamins like vitamin A are linked to birth defects and other problems. These vitamins are stored in the body, so it’s important for women to switch them out for other vitamins when trying to get pregnant. Maintaining a healthy lifestyle is important when trying to get pregnant. Getting enough sleep, eating a healthy diet and exercising all contribute to a healthy pregnancy. Prenatal vitamins not only help women to conceive, but also give their bodies a jumpstart on healthy fetal development and maintaining pregnancy. Previous Post: « Why You Don’t Have a Mom Friend and How to Fix That!